Speedway Motors has promoted racing for more than 67 years and we look forward to celebrating our race customer’s successful seasons. To show our support we’ve put together a Race Banquet Support Package that you can use at your end-of-season banquet. The Speedway Motors Race Banquet Support Package includes a variety of popular products that are suitable for raffles, giveaways or door prizes. 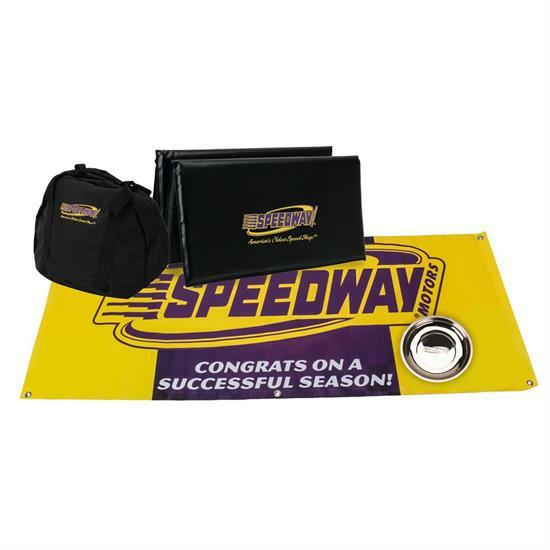 The package also includes a Speedway Motors banner to hang at your event. Retail value of this package is over $60, including items that cannot be individually purchased.